KANSAS CITY, MO. — A day after a teenage girl was fatally shot outside Central Academy of Excellence, her grieving family was left wondering whether the tragedy could have been avoided. 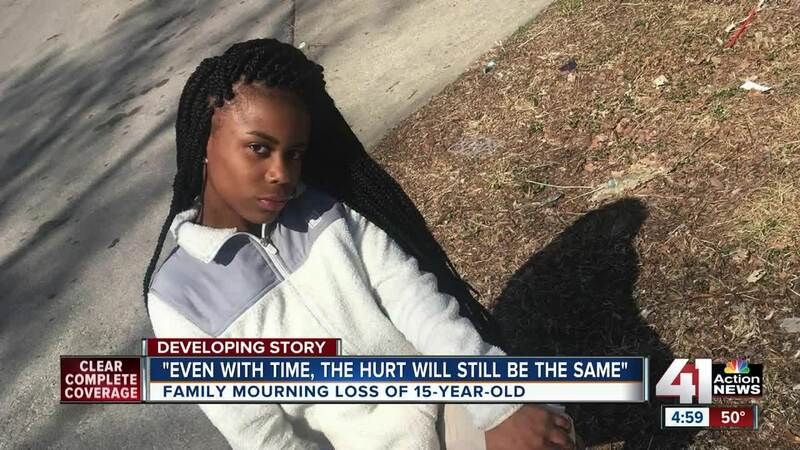 Anjanique Wright, 15, was better known as "Twin" to her close friends and family. Her family said Wright went to Central Academy, her former school, on Tuesday night to see her twin sister and watch the girl's basketball game. While they were at the game, Wright's twin sister, Angelique, said a group of girls they had dealt with in the past came over and started arguing. "The group of girls that jumped made contact with my sister and basically were like, 'what’s up,' telling her to go outside...and they started with an argument and the security guard told us to leave," Angelique Wright said. Security kicked the girls out of the school. According to Wright's family, security asked the teen to leave the building even though she expressed concerns that the group may be armed. "Why send both people who got into an alternation outside together?" Angelique Wright asked. When Wright stepped outside, she was ambushed, according to her sister. "When we got out there was a van out front, someone got out of the car and my sister said, 'she got something, she got something,' and a minute later a couple of shots," Angelique Wright said. A Kansas City Public Schools spokesperson told 41 Action News that the district will not comment on the family's claims while it conducts its own investigation. "Even with time, the hurt will still be the same," Wright's foster brother, Terrion Hudson, said Wednesday. "Everyone’s mourning, trying to be strong and speak up for her, but it’s definitely hard." After yet another death due to senseless gun violence, Hudson is hoping that something will change. "Put down the guns, talk about stuff like 'Twin' attempted to do last night," he said. "Talk it out. There’s nothing that deep where I want to take your life." A GoFundMe campaign for funeral expenses has been established.